To be completely honest, I’ve planted a few different clovers and I’m not longer aware which variety is depicted above. It is either dutch white, crimson or medium red clover. 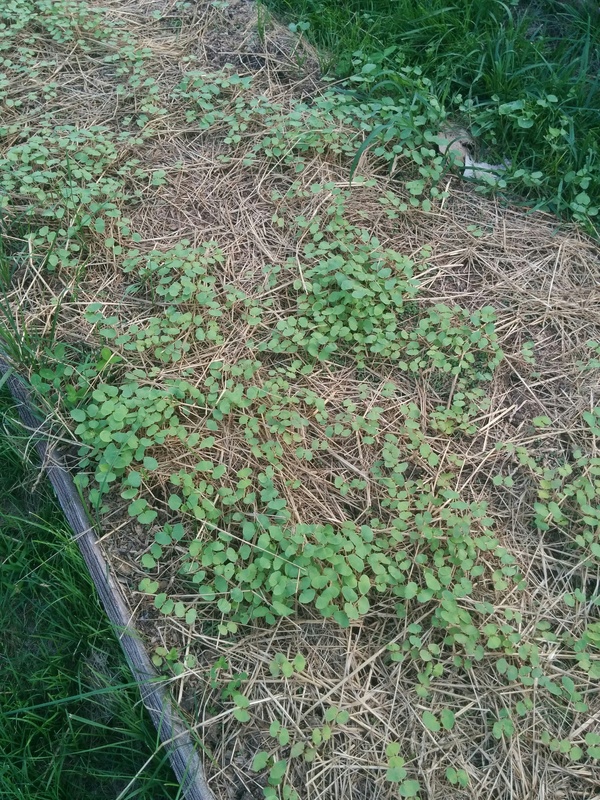 Since the first frost occurred, all of the buckwheat is gone as I explained here. Yet the clover is still thriving and a deep green! Buckwheat is not a new development. It has been used for centuries including being found in correspondences regarding its weed suppressing powers between George Washington and Thomas Jefferson, two men notoriously obsessed with gardening. As the practices of agriculture changed along with the economic forces driving modern farming, buckwheat is no longer a widely cultivated crop. However, those same forces of economics are also reviving buckwheat due to its weed suppression powers that require very little labor or inputs to harness. Growing in partially decaying organic matter is the property that causes buckwheat to be recommended as the first crop cultivated on idle or reclaimed land. 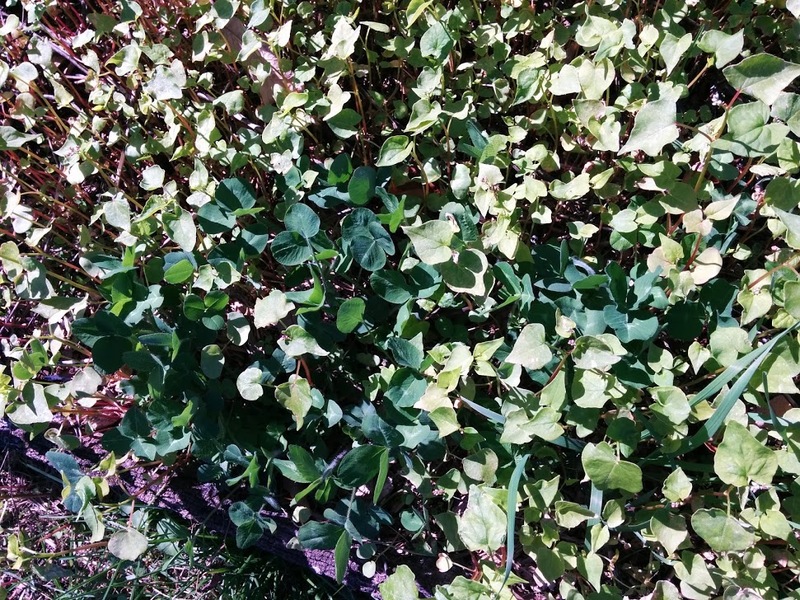 By watering a few days before sowing, weeds germinate to then be smothered out by the fast growing buckwheat resulting in the permanent removal of those weed seeds from the soil seed bank. Those weed suppressing powers coupled with its quick lifecycle make buckwheat a fantastic cover crop to prevent a summer annual weed infestation. Buckwheat takes 10 weeks to go from germination to seed and is a heavy phosphorus feeder. If only soil conditioning and weed suppression are desired with no consideration required for harvest, it can be mowed before maturity and the plant matter rapidly deteriorates releasing mineralized phosphorus into the soil for the next crop of plants. 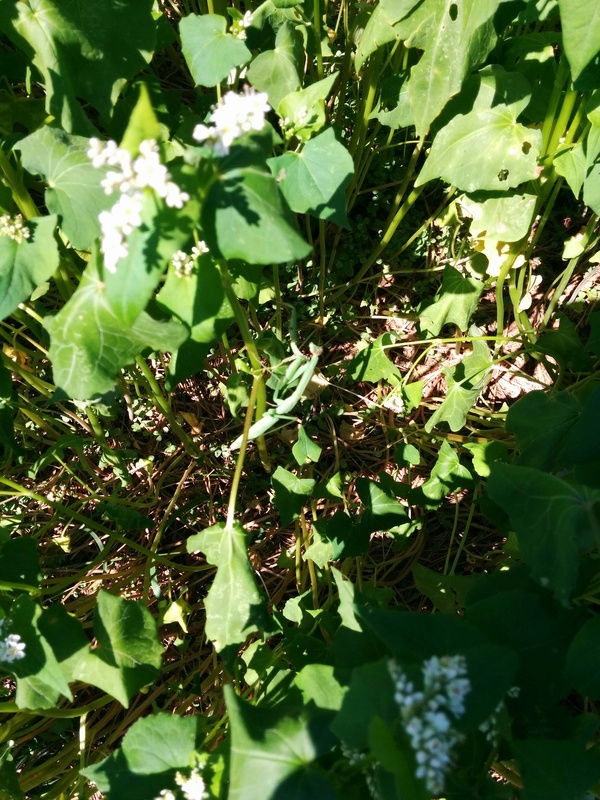 All together, buckwheat can usually be raised to a full crop between spring and fall plantings of other crops, or as a second crop behind long season crops like grains, corn, etc. Looking specifically at the soil conditioning properties, buckwheat forms a dense network of very fine roots. While it cannot penetrate hardpan soils, buckwheat will leave all other soils mellow for a short time. 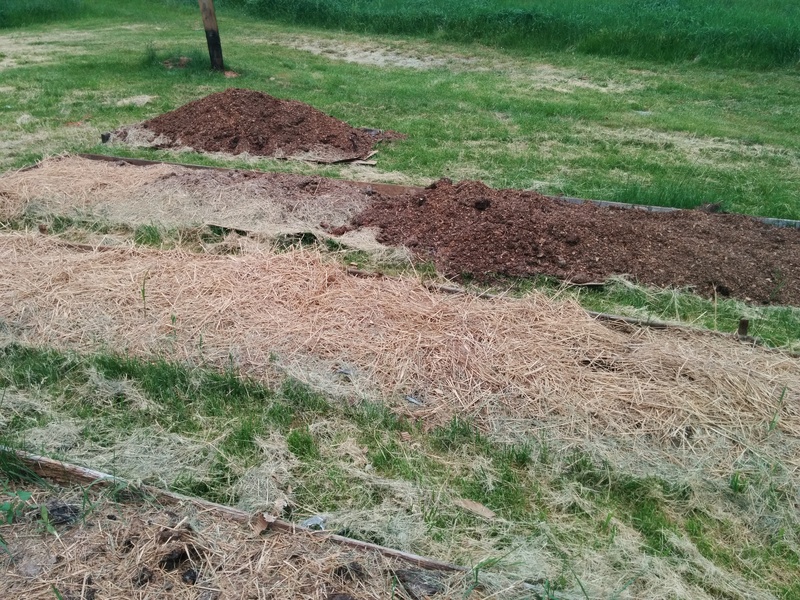 This lightened soil can be taken advantage of immediately but immediate planting of the next (non-buckwheat) crop or the changes can be made more permanent when followed with a planting of something like ryegrass that forms a mycorrhizal root system. 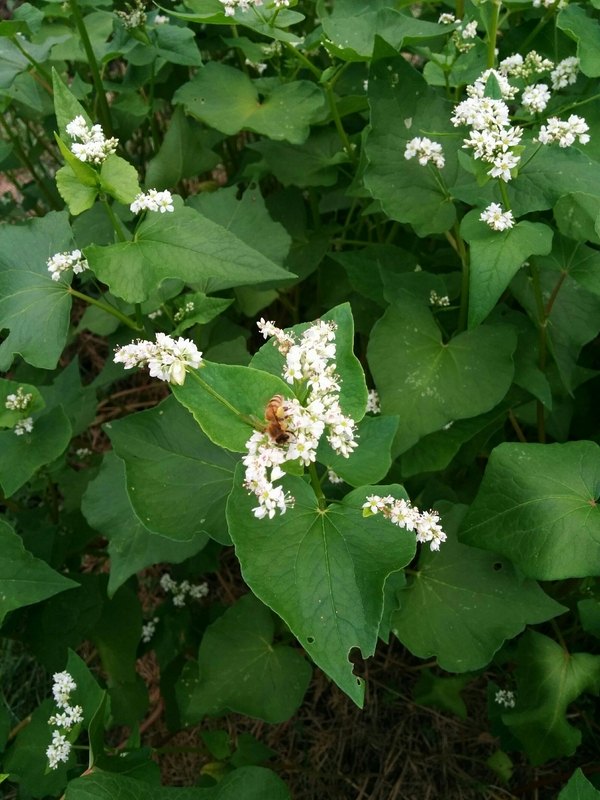 Buckwheat nourishes the native and farmed pollinators. Recently, an alarming trend of unpredictable pollination damaging the yields of insect-pollinated crops has become apparent (Source, page 41). 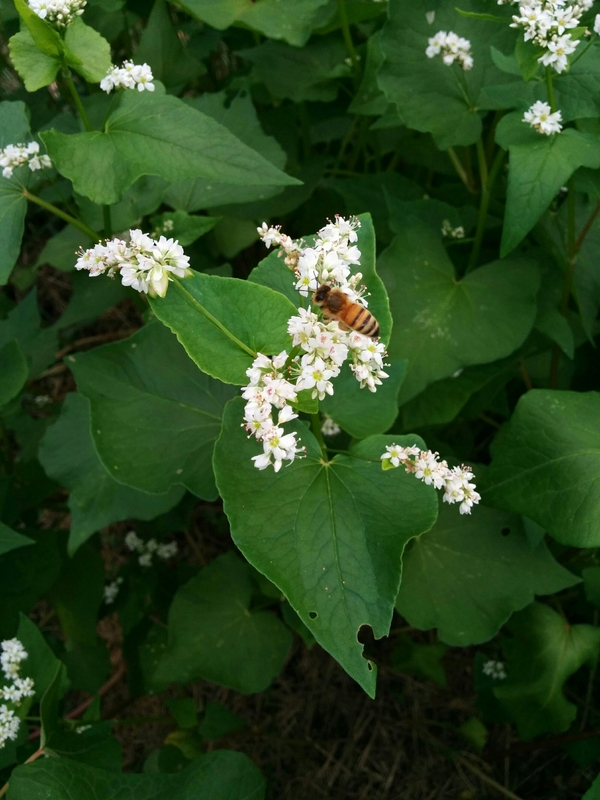 Buckwheat can be grown directly as a honey crop for beekeepers, or alongside other high value crops that require insect pollination. In the latter scenario, buckwheat attract the pollinators to the other crops to encourage thorough pollination. Lastly comes the beneficial nutrients. Buckwheat is rich in protein at 18% crude, typically around 12% bioavailable (Source) making it an important source to those who do not consume much animal proteins. It’s high amino acid content is even more important as most cereal grains lack these important nutrients; most notably lysine, threonine, tryptophan, as well as non-amino acids in tannins and fiber (source). Thus buckwheat can supplement the nutrition of grain noodles, breads, etc. and most resources I have read recommend 20% replacement of wheat flour in baked goods or 50% in pancakes. Apparently buckwheat pancakes are delicious and uniquely flavored. I can’t wait to try them! In terms of animal feed, lysine cannot be synthesized by animals meaning it must be sourced in feeds. As a result, lysine has become the limiting growth factor in animals raised for meat. Including buckwheat in feed rations supplies lysine among other nutrients and limits the need for lysine produced industrially via genetically modified bacterial fermentation which is now a $1.22 billion dollar industry. 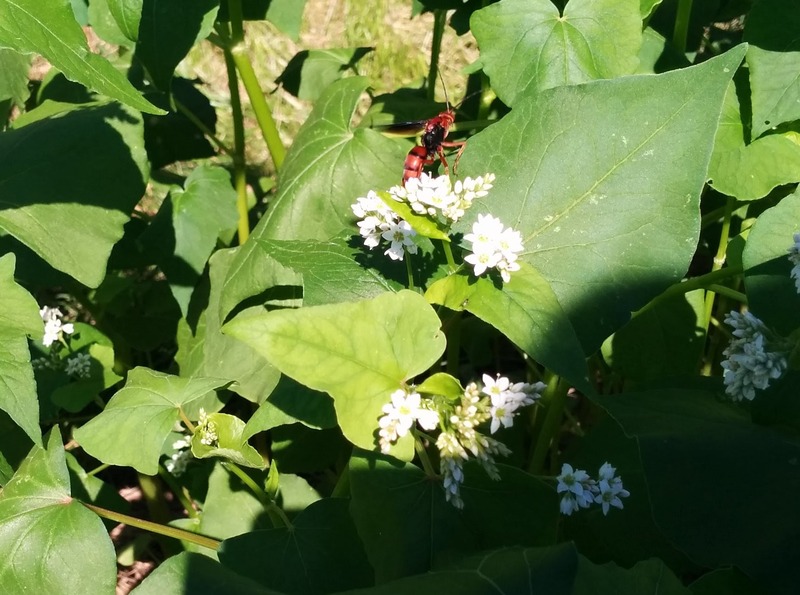 To conclude, this plant conditions the soil, suppresses weeds, depletes the stored seed bank of weeds in the soil, boost nutrition of common foods/feeds, provides honey and encourages pollination of its neighbors. I think it is worthy of high praise in the organic gardening world. PS: Buckwheat hulls do not conduct heat as much as many furniture fills. They are gaining renown as producing cool pillows when used as fill compared to many synthetics. However they contain an allergen that can aggravate asthma if you suffer from that condition. I am certainly going to experiment with this as well because I am always searching for the cool side of the pillow at night! Cornell University has the most extensive buckwheat resource I have found. The last one was worthy of an entire post to itself! I caught a few of my ladies in my blooming buckwheat! Look at the pollen pants! I thought my bees disliked the buckwheat or were maybe more attracted to the neighbors soybeans. 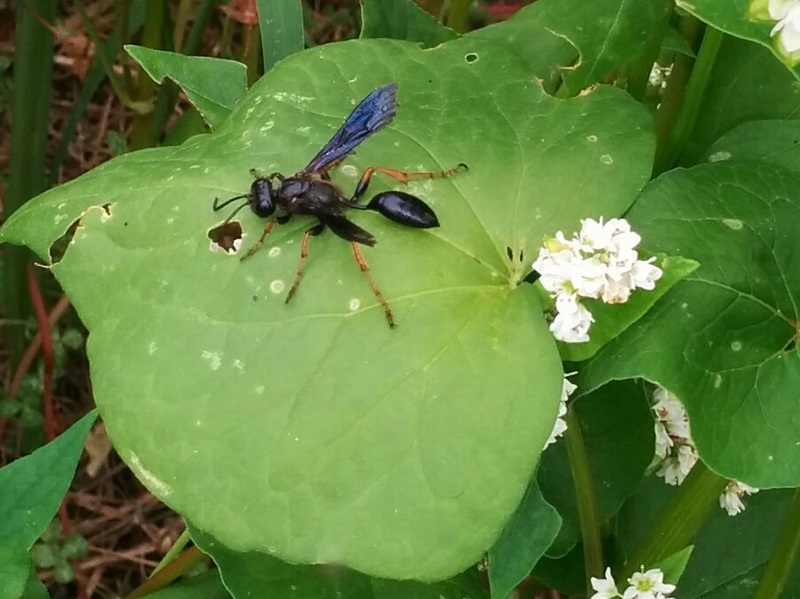 Up until this point, I’ve seen carpenter bees 5 different species of wasps and 21 different butterflies (assuming males and females look alike in each species) but no honeybees! I’ve been taking pictures of many of the native pollinators I find in the buckwheat and will consolidate them into a single post.